Love contemporary design? You’ll love Thelma. 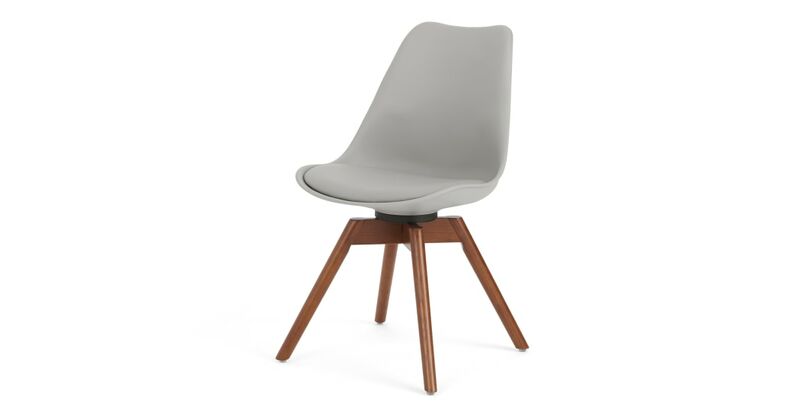 Sleek with a big dose of comfiness, this grey office chair will have you at your desk, even when you don’t need to be. Contrasted with dark-stained wooden legs, Thelma’s minimal Nordic design is complete with a cushioned seat – it’s hygge for the home office.